Part two in a series of three pieces by Harry Brewis tackling Gus Van Sant’s Death Trilogy. Click here for part one. Gerry is about two guys who get lost on a hike in the desert and slowly dehydrate as they try to find a way back. In a moment of mercy, one strangles the other to save them from suffering a much longer and more painful death in the sun. Like with Elephant, the plot is a little thin on the ground, based on a true story the audience probably already knows going in. But the way it’s presented allows it to tell a story with a surprisingly great deal of depth. Elephant was about characters so trapped in their own way of thinking that they fail to see death coming, or fail to question why they have chosen to kill others. Gerry takes the opposite tack and explores the hidden advantages of living this way. 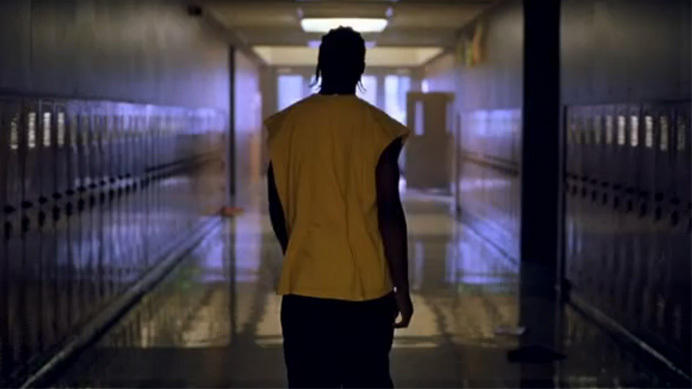 Gus Van Sant is one of those filmmakers people call ‘interesting’. On the one hand, the man’s capable of all sorts of good semi-mainstream films, from Good Will Hunting to My Own Private Idaho. But on the other, he’s responsible for slightly-too-arthouse-for-arthouse films like Even Cowgirls Get The Blues, the almost-shot-for-shot Psycho remake, and what has come to be known as his ‘Death Trilogy’—Gerry, Elephant, and Last Days. The entire death trilogy sits in the high-fifties, high-sixties part of Rotten Tomatoes that seemingly means ‘slightly above average’, but in practice has come to mean ‘people either think it’s truly fantastic or total pretentious garbage’. (And given that this is the man who remade Psycho, maybe there’s some truth to that latter view.) But each of the death films gave me some thoughts about cinema and philosophy, so I thought I’d write a piece on each of them and try and get those thoughts straightened out. Marshall McLuhan. That’s right, that guy in the movie theater line scene in Annie Hall. 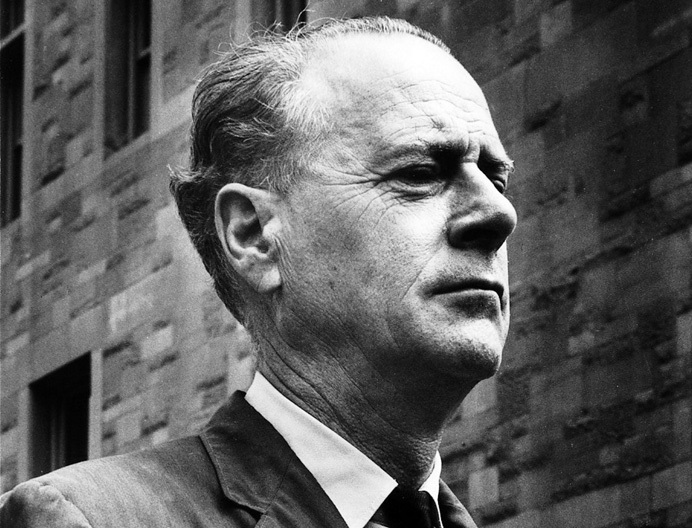 McLuhan was a philosopher, and his contributions are right up there with those of Marx, Freud, and Nietzsche. His particular focus was on mediums, and how they influence our thinking. A person raised before the printing press is different, on a functional level, from a person raised with a television in their home in the 60s, or a person raised with Wikipedia constantly at their fingertips. Our very modes of thought are changed by the forms of information around us. Spoilers of Transformers: The Movie ahead. 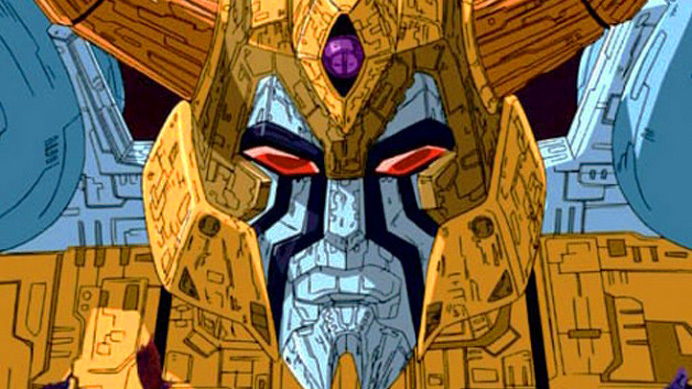 The animated show Transformers functions as a protection from the outside world. Life is a scary thing, and being a kid on planet Earth is often incomprehensible, so a television show where even cars are out to protect the Earth, and every episode the day is saved and status quo is restored, is a tremendous comfort. It would be easy to dismiss its concept as stupid, but in a world as dark and violent and painful as ours, taking refuge in a place of color and imagination is perhaps the best possible thing a young person can do. Let me tell you about a man named Friedrich Nietzsche who also understood this. So, the new Godzilla movie is great. 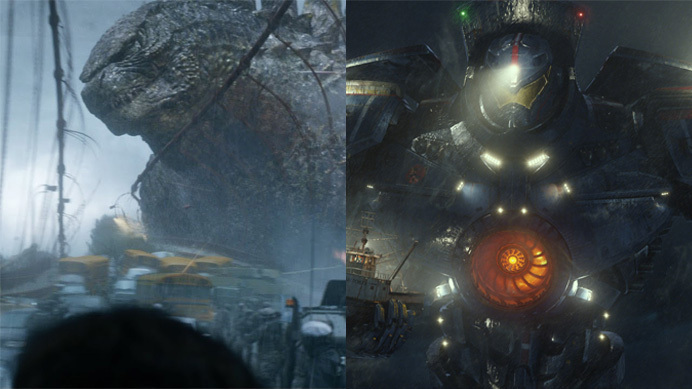 Invariably, Godzilla is going to be compared to Pacific Rim, simply for being the latest film to feature large things hitting each other. This is an unfair comparison—Godzilla, in spite of being the one with the long and intricate history behind it, is actually interested in telling its own story and standing out. I spoke of ‘authenticity’ in my piece on Rim, and that is precisely is the main difference between the two—Rim is ‘about’ kaiju eiga, whereas Godzilla actually is one of those movies. Being about movies is not a bad thing in and of itself, but Rim failed to do a competent job of it.